Manuscript's specialised italic and poster dip pen and nib set offers a wide variety of Poster and Tape nibs for a variety of purposes. The italic & poster dip pen nib the set is particularly suitable for the budding calligrapher or graphics and art students who is looking to experiment with a new medium. 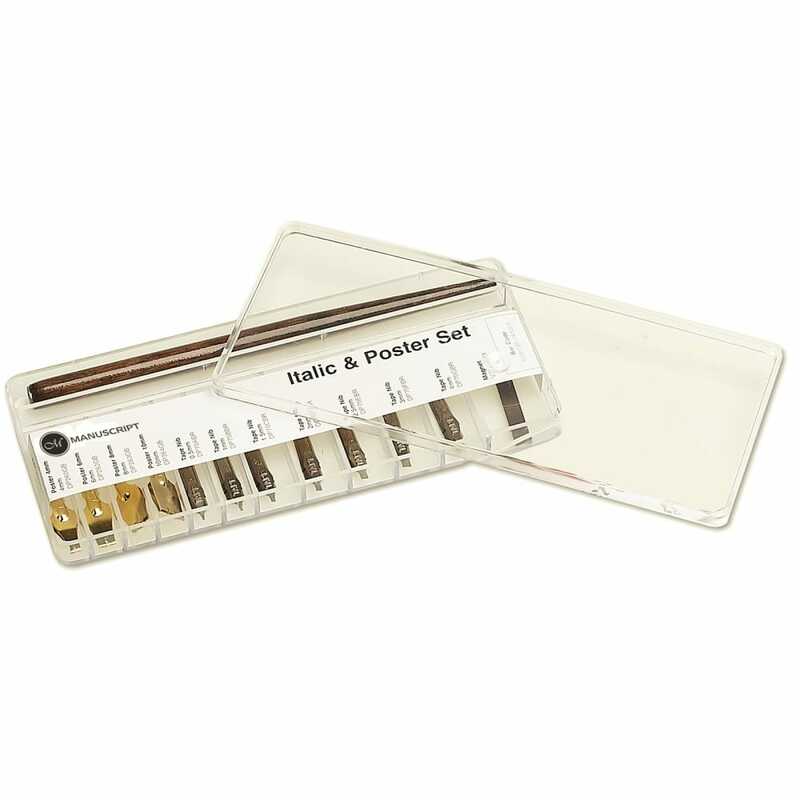 Set contains 1 x pen holder, 4 x poster nibs 4mm, 5mm, 6mm, 8mm, 10mm, 6 x tape nib 0.5mm, 1mm, 1.5mm, 2mm, 2.5mm, 3mm, 1 magnet all in a clear plastic selection box.